The Milan design fair is the annual indicator for the Dutch design industry. What are the new trends? Who matters and why? On the eve the most important international design fair, which takes place from 12 to 17 April, Connecting the Dots offers an overview of new Design from the Netherlands that will be on display during the coming edition of the design fair in Milan. In the Netherlands, a retrospective of the presentations of the Dutch design studios in Milan will be offered under the title of Recap Milan 2016, at The Design Circle at the Zuidas in Amsterdam from 12 to 29 May. After a meaningful decline in 2015, the number of Dutch presentations in Milan has never been as high as it is this year. The Dutch design sector is not standing still. This year, Milan demonstrates a strong development. New labels and collaborations point to a positive trend. Connecting the Dots has surveyed the individual presentations and offers a complete overview. This year, the design publication includes over 50 different Dutch exhibitions in Milan, in which more than 250 Dutch design studios and brands will be presenting. Prior to the design fair, the digital edition www.dutchdesignpressdesk.nl can be consulted online. It offers an advance overview of all Dutch design studios and brands that will be presenting in Milan. 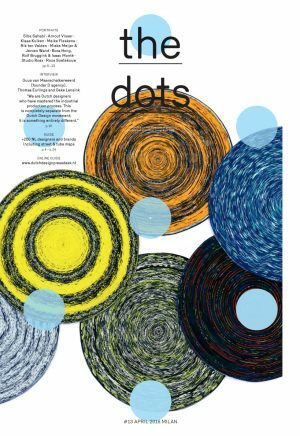 The seventh Milan edition of Connecting the Dots offers the full programme in print. 20,000 copies of the publication will be printed in full colour in tabloid format and will be distributed during the design fair via all Dutch presentations. For Felicerossi, Setsu and Shinobu designed the NA, an iconic design that will be serving as a dispenser of The Dots for the first time this year. Journalist Annemiek van Grondel and photographer Boudewijn Bollman created nine portraits of various designers for The Dots that are very close to character: Mieke Meijer and Jeroen Wand, Klaas Kuiken, Arnout Visser, Rik ten Velden, Roos Soetekouw, Meike Fleskens, Siba Sahabi, Nic Roex and Jeske Kapitein (Studio Roex), and Bora Hong, Rolf Bruggink and Isaac Monté. The magazine also includes an interview with Guus van Maarschalkerweerd, founder of D-Agency, the first agency for the design industry to include designers who have complete command of the industrial design process, from sketch to final product. 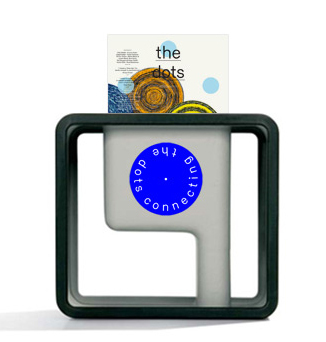 Last year, Connecting the Dots developed the Dutch Design Press Desk. A central database of press material by individual design studios, from which the media can download relevant press releases and visual materials and which already includes many Dutch designers who are exhibiting in Milan.